Have You Been Charged with a DUI in Oakland County? Everyone knows somebody who has been convicted of an alcohol-related driving offense that tore his or her life apart. Being charged with a DUI in Oakland County can be especially damaging to your reputation, career, family, and finances because of the severe penalties many courts dispense. With the stakes this high, you cannot afford to proceed without the best representation available. An average lawyer will take a brief look at your case, see if there are any glaring issues that stand out, and move to cut a deal with the prosecutor. That’s fine if you’re going go be happy with an average outcome and you don’t mind the repercussions. A great lawyer takes your case apart piece by piece and analyzes the traffic stop, the arrest, and all the evidence gathered. A great lawyer looks at every aspect of the case to find any and all opportunities for a dismissal, and the great lawyers at Lewis & Dickstein will find that dismissal if it possibly exists. The potentially catastrophic outcomes that can come with a DUI or other drunk driving offense are too serious for your case to be left up to an average attorney. You don’t just need an Oakland County DUI lawyer. 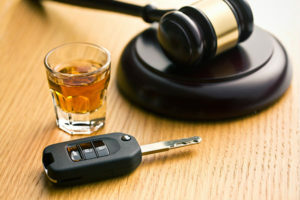 You need a GREAT Oakland County DUI lawyer. The attorneys at Lewis & Dickstein are well-recognized for their successful work with DUI cases. If you want the best attorney by your side, you owe it to yourself to contact the law firm of Lewis & Dickstein. The firm’s attorneys have decades of experiences handling criminal defense matters in Oakland County and throughout Michigan. We take great pride in the stellar reputation we have earned with former clients, the judiciary, and other lawyers. Call Lewis & Dickstein at (248) 263-6800 or complete a Request for Assistance Form if you or one of your loved ones is facing a DUI charge or other criminal charge. You don’t need an attorney, you need a great attorney.